According to Pahalman Darji, his family members are music lovers and enjoy watching reality singing shows. So when his teen daughter, Shrishty Chhetri, asked if she could take part in a singing competition, he and his wife gave her their full support. Chhetri and her parents are former Bhutanese refugees who moved from Nepal to the U.S. in 2016. 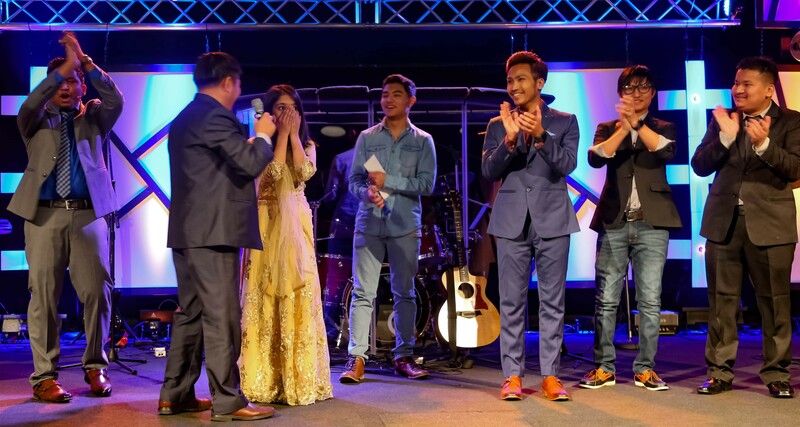 While Chhetri has never had formal singing lessons, she took part in regional talent shows that Bhutanese youths in the New England area organized. She often received positive feedback, Chhetri said. Two weeks after she sent her audition video, the organizers told her that she was selected to be one of the contestants. To help his daughter prepare for the competition, Darji bought a microphone that could be hooked up to their home entertainment system. Whenever Chhetri practiced, Darji and his wife, Bharati Chhetri, were on hand to assess her performance. The couple said they learned how to critique through osmosis: They're big fans of such shows as "American Idol," "Nepali Idol" and "Indian Idol." Sometimes his daughter practiced into the wee hours, Darji recalled, saying, “We had to close our ears." The Voice of Glory was held over several weeks in New Hampshire and Massachusetts. A youth leader from her congregation, Grace United Church, who was also one of the judges drove Chhetri to the competition. She was so nervous in the first round that her legs shook, Chhetri said. The judges gave her mostly positive comments, though they told her to improve her enunciation. After six grueling rounds, she was one of three finalists. The results were solely determined by the judges. A large number of Grace United Church congregants turned up to support Chhetri during the final, which was held in Concord, N.H. "I felt so blessed and I was so happy," she said. A video recording showed that Chhetri's mother jumped out of her seat when the result was announced. The rest of her church members chanted, "Vermont, Vermont, Vermont!" "[It was] a win for the whole of Vermont," said Chhetri. As the champion, she received a trophy and a monetary prize of $1,500. She has given 10 percent of her winnings as tithe. She'll also have the opportunity to record an original song. 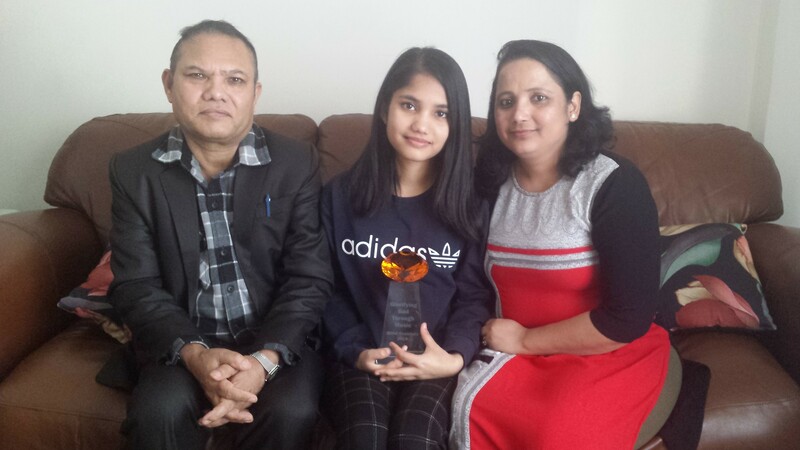 "We are very, very proud of her," said Darji. Both he and his wife will support Chhetri should she decide to become a Christian singer, he added. Though singing is something she enjoys doing, Chhetri said she wants to focus on her studies for now. She hasn't let relative fame distract her from her goal. "I really want to be a dentist," she said. Corrections, December 21, 2018: An earlier version of this story misstated that the youth talent shows were organized by the Grace United Church and that the winnings were donated to the church.